What are the Wisconsin State statues regarding the responsibilities of dog ownership? ALL DOG OWNERS SHOULD BE AWARE OF THE WISCONSIN STATE STATUES REGARDING THE RESPONSIBILITIES OF DOG OWNERSHIP. 1. Dogs more then 5 months of age shall be licensed by April 1 of each year, or a late fee of $25.00 shall be imposed. 2. Proof of rabies vaccination is required before a license will be issued. 3. Dogs are not allowed to run at large. The dog must be kept on the owner’s premises or under control of the owner or some other person. 4. Dogs running at large are subject to impoundment. 5. If the owner permits a dog to run at large, the owner shall forfeit not less than $25, nor more than $100 for the offense and not less than $50 nor more than $200 for subsequent offenses. 6. The dog owner can be held liable for a dog causing injury to a person, domestic animal, or property. The penalties imposed can be from $50 to $500 depending on the circumstances. The penalties are in addition to any other liability imposed on the owner of the dog. Late fee of $25.00 shall be assessed the owner of each dog 5 months of age or over who fails to obtain a dog license by April 1st of each year, or within 30 days of acquiring ownership on or before the dog reached licensable age. The minimum late fee may be raised by municipal action, and may include payment of costs assessed by the Township for checking on the license. Proof of current rabies vaccination is needed. Without proof, dog license will not be issued. Proof of rabies vaccination will be returned to the owner with the dog tag(s). Any owner, who fails to have a dog vaccinated against rabies as required by statue, may be required to forfeit not less than $50.00 or more than $100.00. Is there a dog license late fee? Where do I send dog license fees? Please enclose with the check, a self-addressed and stamped envelope. Is it possible to pay for dog licenses at the County Treasurers office? No, all dog licenses must be sent to the Town Treasurer due to rabies vaccination verification being required. Please remember to include rabies vaccination paperwork with your dog license fee. Are there dog collection and kennel fees? Yes, there are collection fees, which are $20 per hour. There are no kennel fees. Does Town of Wheaton have a dog catcher? Yes. Please see contact information below. Where can I get my ground water tested? Contact Kevin Masarik at UW-Extension & UW Stevens Point Trainer Natural Resources Building, Room 224, Stevens Point, WI, 54481. Phone: 715-346-4276. There is a fee for the testing. Contact Chippewa County Department of Land Conservation and Forest Management at the Court House in Chippewa Falls, WI. You do not need an appointment. Go to Room 11 and ask for a Water Test Kit, fill out the form enclosed, and drop the box in the mail. Contact Commercial Testing Lab, 514 Main Street, Colfax, WI. You do not need an appointment. Go and ask for a Water Test Kit, fill out the form enclosed, and drop the box in the mail. There are several other private water testing companies. They will test only nitrates for free. All other testing will have to be paid for unless you buy their equipment. Please Note: Depending on the type of ground water test you desire will determine the fee (if necessary). What is the Park Ornamentation Project? Park Ornamentation Project is a 2 phased project to add amenities and landscaping to the park through a fundraising campaign that offers the community an opportunity to make a donation, memorial gift, or in honor gift with long lasting benefits to our area. By allowing for resident/non-resident and community donations this brings a sense of community ownership to this project, unifying our commitment to the park. How do I rent a pavilion at the park? Review Park Availability Calendar to see if your desired date and pavilion are open. If so print off the park reservation application and follow the instructions listed on the application. Is there a pavilion rental fee? Pavilion rental fees are listed on the park reservation application. Is there a pavilion deposit fee? Yes rentals require a deposit fee. Deposit checks are not processed unless damage occurs during your rental or there is a failure to follow the Park Rental Procedures. Non-processed deposit checks can be shredded at renter's request or returned to renters via mail if desired. Are bathrooms available with park rentals? Yes bathrooms are available with park rentals. Upper pavilion (next to tennis court) has porta potties on the west end of the tennis court plus you can use the fire station bathrooms which are accessible on the south side of the fire station if desired. Lower pavilion (next to the 2 ball fields with green roof) has restrooms on the east side of the concession building. What amenities are provided with rentals? The following amenities are available for renters to use. Do I need to take my garbage with me? Yes renters are responsible for removing their rental garbage at the end of their rental. Replacement garbage bags will be provided for renters to place in the trash and recycling receptacles. How do I get the park rental key? Contact Ken Books at Wheatonpark@gmail.com or (715) 874-6414 the week prior to your rental to arrange a time. 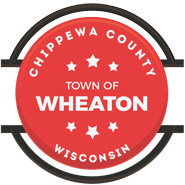 How do I get placed on the Wheaton Planning Commission agenda and what information is needed? How do I rent the town hall? Is there a town hall rental fee? Town hall rental fee is $100.00 per day. Is there a town hall deposit fee? Yes rentals require a $100.00 refundable deposit fee. Are bathrooms available with town hall rentals? Yes bathrooms are available with town hall rentals. Yes renters are responsible for removing their rental garbage and completing cleanup by 8AM the following day. How do I get the town hall rental key? Contact Mary Eckwright at (715) 874-5397 the week prior to your rental to arrange a time. How do I find information on the Wheaton Ball League program? There are 3 easy ways to obtain information on the Wheaton Ball League program?